THE State Government has rejected intense pressure from regional mayors and the real estate industry to increase the scope of first home owner grants to already established homes. Treasurer Curtis Pitt formally ruled out the proposal on Friday. 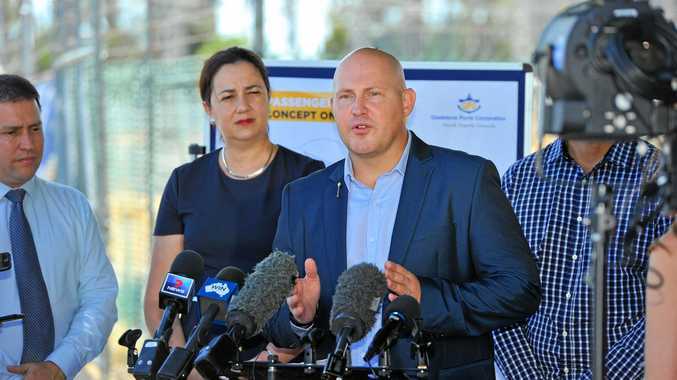 The $20,000 Great Start Grant only applies to newly-built homes, but the Real Estate Institute of Queensland led a state-wide push from regional local governments, including Gladstone Regional Council Mayor Matt Burnett, to extend it for regional areas. The REIQ said extending the grant in regional Queensland could bring more buyers to the market where they believe there is an "oversupply of established homes". But the housing industry fears regional economies would be impacted if the scheme were widened. Eleven Queensland mayors wrote to Mr Pitt backing the REIQ stance. Mr Pitt said anyone waiting to buy in the hope that the offer would be extended to include established homes had received "bad advice" and risked missing out on the $20,000 boost, which drops to $15,000 from July. "No state in Australia offers a first homeowners' grant for established housing, the strategic purpose of our $20,000 initiative is as much about getting Queenslanders into the property market as it is getting tradies back on the tools," Mr Pitt said. Cr Burnett was disappointed with the news but accepted the decision, stating that he'll bring the issue up again at the appropriate time. "I understand what they're trying to achieve," he said. "That (decision) is fine for now but we'll keep harping on about it, we'll accept the fact we've lost round 1." State member for Gladstone Glenn Butcher also pushed for the grant to apply to existing homes, but understood the $20,000 was to stimulate the economy, rather than potentially lining the pockets of real estate agencies. "The idea behind the grant was getting people into a new home, meaning a team of builders has to build that home, so giving $20,000 just to move into a home means there's no real benefit other than to the real estate," he said. "I've heard loud and clear that people wish to see the grant used for existing homes and I think it makes sense. "I advocated this to the treasurer and even though he said no, I won't stop asking for it. "Particularly in region towns like Gladstone where the boom and bust cycle happens and we've seen the ups and downs of rental prices here in Gladstone. "I'll try everything I can to get more projects and jobs for the city so if we keep doing that we should be fine."